As the angel recited this prayer, the Blessed Virgin appeared in a brilliant light. The answer: “If I didn’t have a veil, you would recognize me.” While leaving, Our Lady added, “May Christ’s peace be with you and with all those who will pray here.” As Blessed Mary raised her hand in blessing, she became as transparent as crystal – and so bright that Barbara was unable to look at her. 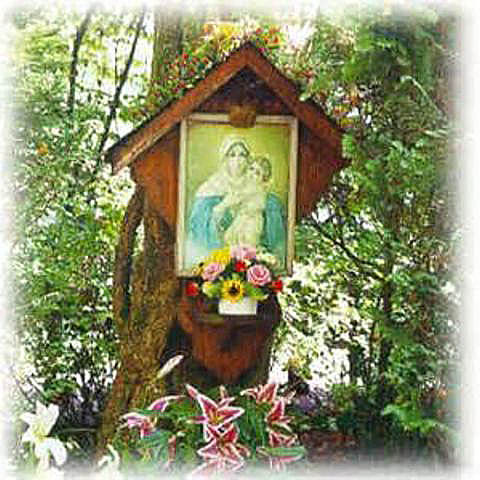 The painting of Mary and Jesus in Marienfried, Germany. The Shrine in Marienfried, Germany. 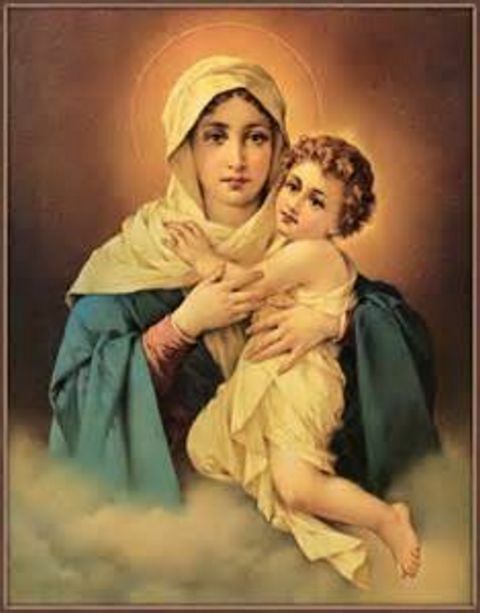 The third appearance of Our Lady occurred on June 25, exactly one month later, with many others in attendance. Our Lady also underscored the great truth that she is Mediatrix of All Graces. After the Blessed Virgin ceased speaking, she was suddenly surrounded by an immense number of angels wearing long white garments. Kneeling on the earth, they bowed deeply and recited a homage to the Holy Trinity. On its completion, the angel asked Barbara to repeat the prayer. This was the same angel who had been present during the first apparition on April 25. After reviewing all aspects of the apparitions, the Bishop of Augsburg rendered a decision, finally, on March 20, 2000. The Bishop declared that the faithful are free to conduct pilgrimages and services at the Marian Shrine in Marienfried.